It’s another new (um, updated?) print! A while back we did a Flash parody with ‘Furash’ and yeah, I wasn’t that happy with the pun. The picture? That I loved but yeah, the title was a bit clunky. As time went on the picture was recycled and used in our giant ‘Bearave and the Bold’ print but I still really wanted my Flash parody! 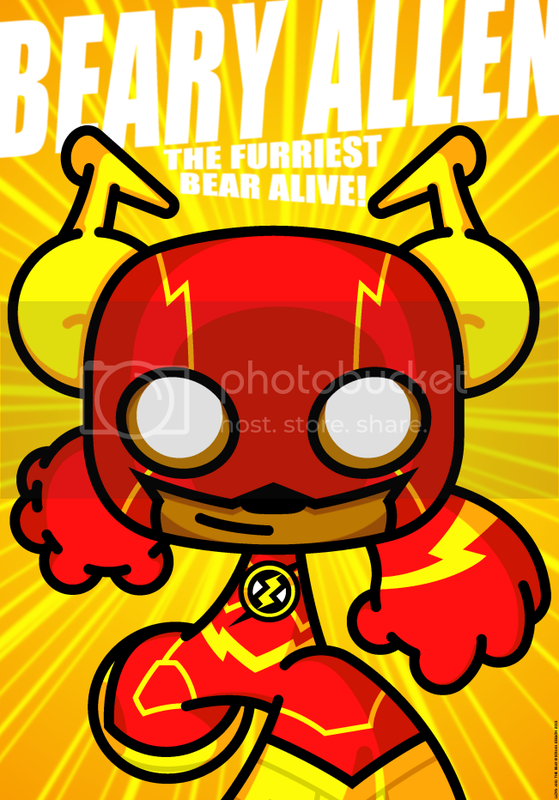 I then got the idea of going with a Barry Allen (y’know, his civilian identity) parody and have Beary Allen as the title but it was still on the back-burner until chatting to a father and son at Demoncon who suggested the added blurb of ‘The Furriest Bear Alive!’ and then I knew I had to get this done – and I did!